The KSM160 Stand Mixer is made to perform and built to last. Original planetary mixing action ensures thorough ingredient incorporation. For even more versatility, the attachment hub transforms the mixer into a pasta maker, food grinder, vegetable slicer, sausage maker and much more. Also includes a 2.8L mixing bowl to prepare smaller quantities. Colour Options Choose from all the colour options to find the one that best matches your style and personality. Power Hub The power hub turns your stand mixer into a culinary centre. With more than 10 optional attachments use the power of your stand mixer to help you make everything from pasta to ice cream, sausage to salsa and so much more. Original Planetary Mixing Action Delivers thorough ingredient incorporation. The beater, dough hook or wire whip rotates around the bowl, giving incredible bowl coverage for fast and complete mixing. Stainless Steel 4.8L Mixing Bowl Stainless steel keeps mixtures cool. Great for warmer climates. Stainless steel assists in optimum volume with egg whites for meringues and mousses. 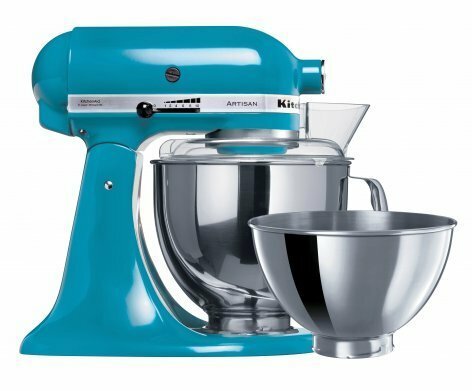 The KitchenAid KSM160 Mixer was added to the Blenders & Mixers category in June 2016. 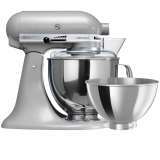 The lowest price GetPrice has found for the KitchenAid KSM160 Mixer in Australia is $589.00 from Peter's of Kensington. Other merchants who stock it are Peter's of Kensington, Appliances Online, Billy Guyatts, Kitchen Warehouse, David Jones , Amazon AU, Bing Lee, House.